This collection of these country and primitive graphics is perfect for all your gardening, Spring and Summer projects. 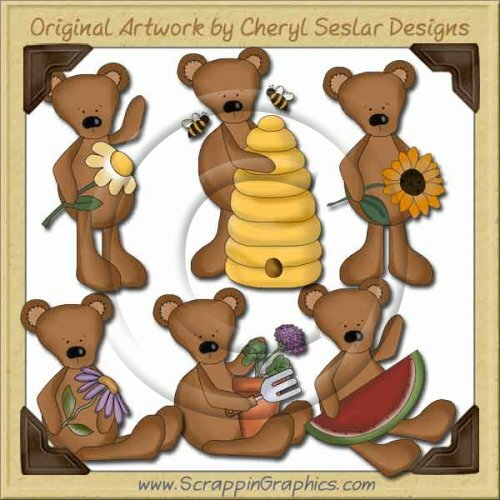 This set includes 6 different clip art graphics: bear holding daisy, beekeeping bear, bear eating watermelon, bear holding purple flower, bear holding sunflower, bear with gardening supplies. Great collection for making scrapbook pages, cards, labels, tags, invitations, and other printables.